No races, no rules! 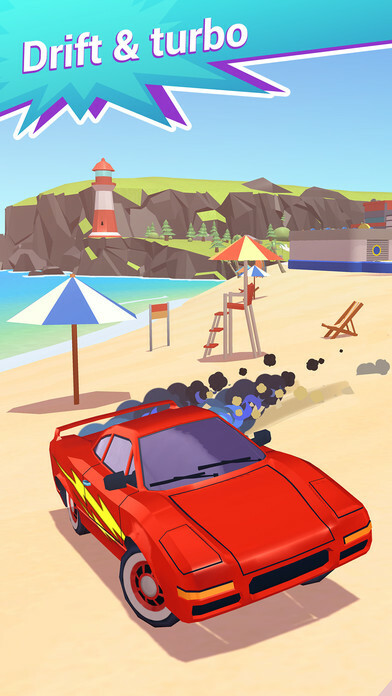 Drive anywhere you want in a big coastal city, break everything and take down other drivers for points to rule the leaderboard! Massively multiplayer action with over 30 players live and real time in every game. Everything can be crashed, with weapons and abilities available right in the middle of the action. 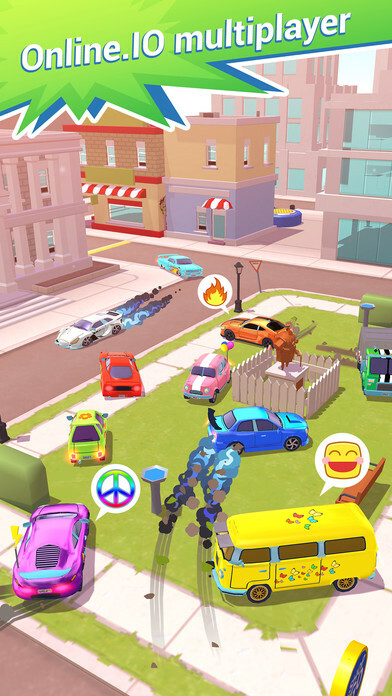 Over 25 unique car makes and countless model varieties, with infinite paint, decal, accessory and emoji options. 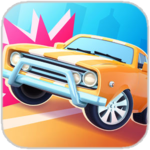 Manage your garage and sell old rides to make way for better vehicles. Pimp them out with upgrades and powers to define your unique style and get the upper hand! 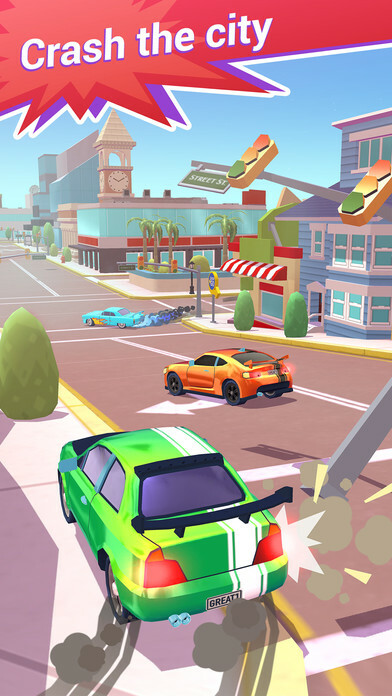 This is Crash Club - a living, breathing world from Prettygreat to take online mobile multiplayer to new heights! The map is a beautiful San Francisco-esque cityscape with a variety of locations and playful Land Sliders Easter eggs scattered about, but it’s the only map in the game and it never changes. 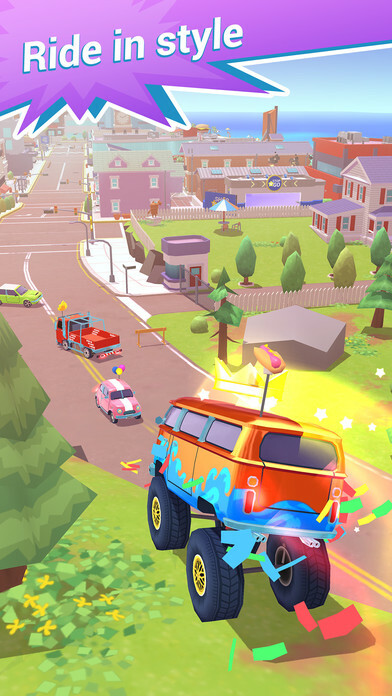 All of these features, good and bad, are built on the just-plain-fun idea of multiplayer car-smashing mayhem that Crash Club sometimes gets right—and other times drives right by. 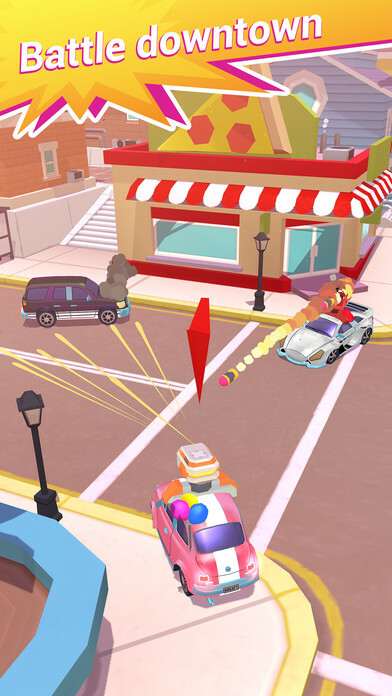 Crash Club offers some light multiplayer action that is reminiscent of Twisted Metal, albeit in a much more colorful way. It's a game formula that works, but only when it's firing on all cylinders. When the game's randomness isn't working in your favor though, there long stretches of playing that aren't fun. This isn't enough to make Crash Club a bad game, but it is enough to keep me from playing much more of it moving forward.